Our knowledgeable defense attorneys at Wallin & Klarich want to share some of the most common DUI manslaughter FAQ. Is it possible to charge gross vehicular manslaughter as a misdemeanor? No. Only vehicular manslaughter charges not involving gross negligence are considered “wobblers” that can be charged as either a felony or misdemeanor depending upon the facts of your case. Gross vehicular manslaughter while intoxicated can only be charged as a felony. What distinguishes gross negligence from ordinary negligence is risk of harm that is created by your actions. In order to be convicted of gross vehicular manslaughter while intoxicated, you must have acted with gross negligence. Gross negligence is more than just ordinary carelessness, inattention, or mistake in judgment. You act with gross negligence if you act in a reckless way that creates a high risk of death or great bodily injury and a reasonable person would have known that acting in that way would create such risk. On the other hand, ordinary negligence is simply the failure to use reasonable care to prevent foreseeable harm to yourself or another. You act with ordinary negligence if you do something that an ordinary reasonable person would not have done in the circumstances, or if you fail to do something that an ordinary reasonable person would have done under the circumstances you faced. Will driving while intoxicated and violating a traffic law be enough to establish “gross negligence” for the purpose of this crime? Maybe. The combination of driving while intoxicated and violating a traffic law might be enough to establish “gross negligence.” In determining whether your actions were grossly negligent, the courts will consider other factors such as your level of intoxication, the manner in which you drove, the extent of the injuries your actions caused, and other relevant aspects of your conduct. Can I still be found to be “under the influence” if I was taking prescription medication? Yes. If narcotics are involved, you are considered under influence if the drugs in your system have impaired your ability to drive a vehicle in a reasonable and ordinary manner. It does not matter whether the drugs are illegal, prescription, or over-the-counter so long as they impaired your ability to drive safely. Yes. If you have a prior DUI conviction on your record you can be charged with second-degree murder under the “Watson Murder” rule. Under this law, the mental state required for a second-degree murder conviction is implied from any act that shows a conscious disregard for human life. See People v. Watson (1981), 30 Cal.3d 290. A “Watson Murder” conviction can result in a prison term of 15 years to life. Yes. If the prosecution is unable to prove all the necessary elements of the crime, the charge may be dropped or reduced to a lesser offense. For example, if the defense attorney is able to persuade the court that your actions did not amount to gross negligence but merely ordinary negligence, the charge against you may be reduced to vehicular manslaughter while intoxicated. If the only thing that prosecution can prove is that you were driving while intoxicated, your charge can be reduced even further to a simple DUI. This law is designed to severely punish repeat offenders. Certain violent or serious felony crimes are counted as “strikes” for the purposes of this law. If a person is convicted of a felony, and he/she has one prior “strike,” the sentence for the second offense must include a doubled prison term. If a person is convicted of a felony, and he/she has two or more prior felony convictions that are “strikes,” the sentence can be 25 years to life in state prison. If I have been charged with vehicular manslaughter while intoxicated, who should I call? 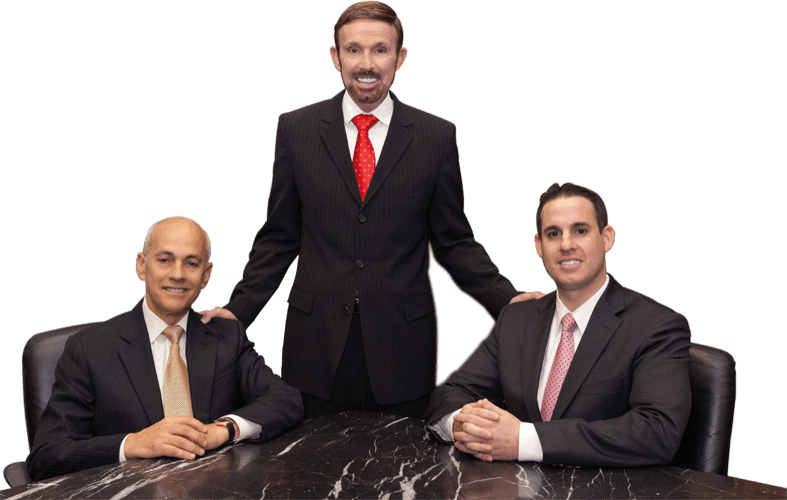 With offices in Orange County, Los Angeles, San Diego, Riverside, San Bernardino, Ventura, Victorville and West Covina, Wallin & Klarich has over 30 years of experience in successfully representing Southern California residents who have been charged with gross vehicular manslaughter while intoxicated. Drawing from extensive years of experience, we are available to answer any questions you have and are willing to go the extra mile in your defense. If you are facing prosecution for gross vehicular manslaughter while intoxicated, call our talented and professional defense attorneys today at (877) 466-5245. We will be there when you call.